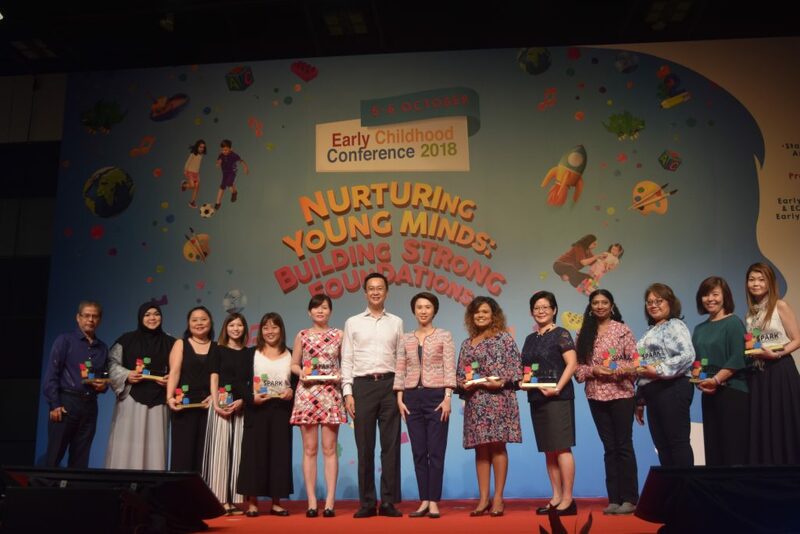 Jamiyah Kindergarten (JK) received its SPARKS accreditation on 6 October 2018 at the Early Childhood Conference 2018 organised by Early Childhood Development Agency (ECDA) held at Suntec City Convention & Exhibition Centre. 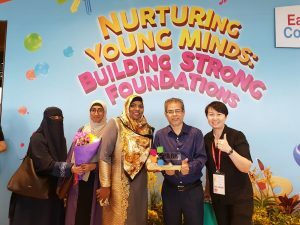 Mr Mohd Yunos Mohd Shariff (Vice President 2) received the accredited certificate on behalf of Jamiyah Kindergarten. Also present at the event were Principal of JK, Mdm Nurull Yasotha, Vice Principal, Ms Sharmeen D Husain and teachers of JK. 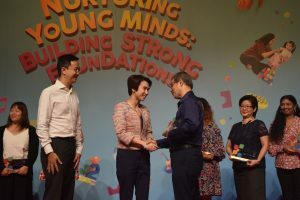 Gracing the event as Guest-of-Honour was Senior Parliamentary Secretary for Education, Ms Low Yen Ling. 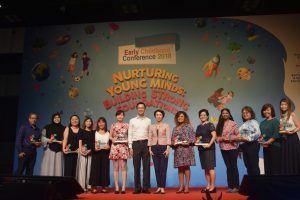 This is the second ECE centre from Jamiyah Singapore to receive the SPARKS accreditation certificate. 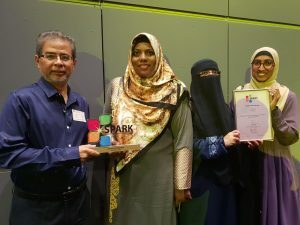 A huge congratulations to the teachers and Principal of Jamiyah Kindergarten for working hard to be a certified SPARK accredited centre!